The Barossa is one of South Australia's best known wine regions, it's about 60km out of Adelaide, and is a great place to visit for a day trip or weekend escape. While you're there make sure you sample the food and wine that the region is known for. There is a strong German influence throughout the Barossa, due to the large number of Germans who setled there during the 1800s. The influences range from architecture to food, this heritage has helped form the Barossa's identity. 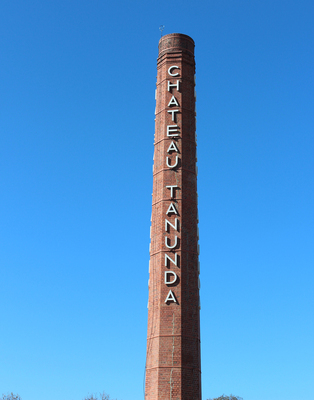 The Barossa Valley is to the North East of the Adelaide CBD, and actually consists of several towns, including Nuriootpa, Tanunda, Angaston, and Lyndoch. Next to the Barossa Valley is Eden Valley, another popular wine region and one that comes under the wider heading of the Barossa. The Barossa is a short drive from Adelaide, so if you have a car you won't need to worry about planes, trains, or busses. Otherwise the LinkSA bus service operates out of Adelaide and stops in all the major Barossa towns. You can choose between a host of local tour operators who can tailor a winery or sight seeing tour to your needs, or if you have a designated driver you can rent a car to see everything on your own time. The Barossa Tourism website lists 162 wineries, so if you're only visiting for a day or a weekend there's no way you'll be able to see them all. 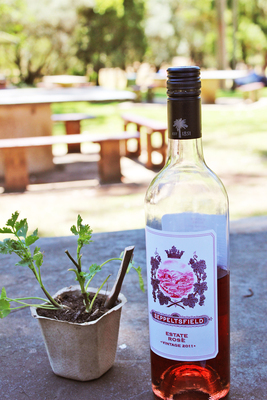 They vary from some of Australia's most well known wineries, to lesser-known boutique wineries with interesting blends. 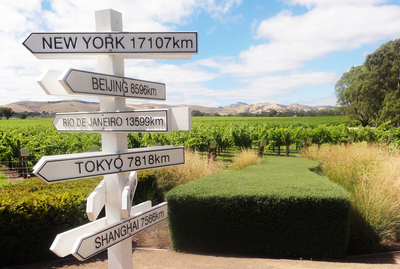 If you're new to the region then the Jacob's Creek Visitor's Centre is a good place to start. It's often skipped by those more familiar to the Barossa in favour of the smaller boutique wineries, but it you're feeling a littler overwhelmed by the choice it offers a bit of an introduction to the Barossa and the history of the area. 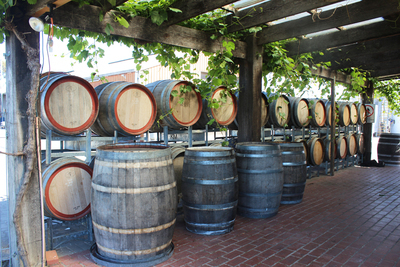 At Kellermeister you can taste their cider as well as their wines, Seppeltsfield is one of the oldest wineries in the area and is surrounded by beautiful gardens and buildings, and at Hands a tasting plate is served with the wine tasting. 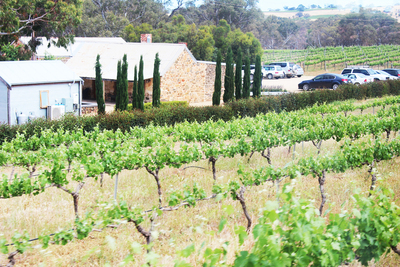 These are just a few of the cellar door experiences you'll find around the Barossa. Then there are places like Taste Eden Valley where you'll be presented with wines from a range of smaller boutique wineries for tasting, bringing them all to you in the one spot. 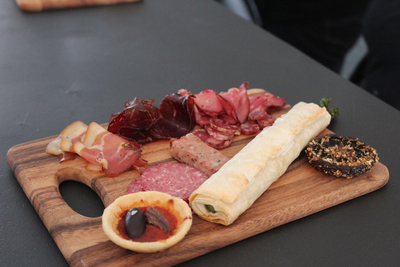 When you're visiting the Barossa you can't forget about trying some of the delicious local produce. From small bakeries to fine dining, and even one of South Australia's most famous cooks, there are plenty of food experiences to be found in the Barossa. Throughout the rest of South Australia, Barossa Fine Foods are known as a great place to get a range of meat and smallgoods. You won't actually find one of their stores in the Barossa, instead head to Schultz Butchers, and choose from their range of mettwurst, sausages, bacon, patés, and more. While you're at it why not pick up a creamy soft cheese from the Barossa Valley Cheese Company and some fresh bread from the Tanunda Bakery. 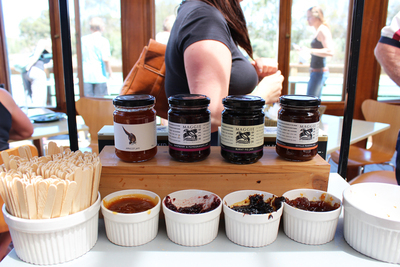 For dips, patés, olives, and so much more, you can't go past Maggie Beer's Farm Shop. You can almost get full wandering through the shop and sampling the many testers. You can eat lunch here at their café, or leave with a variety of delicious products to have a picnic fit for a king. Maggie Beer is best known for appearing on 'The Cook and the Chef' with another popular South Australian, Simon Bryant. She has a real passion for local produce, and her Farm Shop is a great place to experience this. Of course the free tastings don't hurt either! Finally, for a special meal in the Barossa there are two fantastic options you can't look past. The first is Hentley Farm, offering two different set menus that creatively use seasonal local produce. You won't need to spend minutes poring over a menu trying to decide what to eat, instead head chef Lachlan Colwill take you on a gastronomic journey. 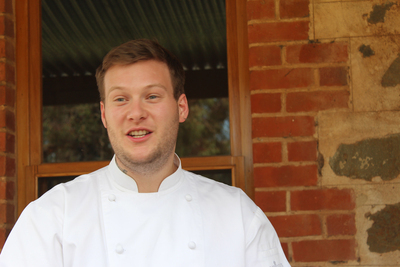 The Louise at Appelation is the other Barossa restaurant serving fantastic food that highlights the surrounding region. One again the restaurant has a focus on seasonal and local produce, and the chef's tasting menu is one of the best ways to experience it. The Barossa is a great place to visit all year round, but at different times of the year there are also some great events. The Barossa Gourmet Weekend or the Barossa Vintage Festival are two of the biggest events, featuring the best of local food wine and entertainment. There's also the Breakfast Rave, a great community event with organic breakfast and a laid back vibe, or just make sure you're there on a Saturday to visit the Barossa Farmers Market. These are just a few reasons to visit the Barossa, for more head to the Barossa Tourism website to help plan your stay.